The Advance Program provides challenging schoolwork for academically gifted students. To join the program, students must score a minimum of 21 on the Cognitive Abilities Test (CogAT). They also must meet at least the minimum requirements in the following areas: teacher evaluation, grade point average (GPA), exceptional characteristics, and standardized tests. 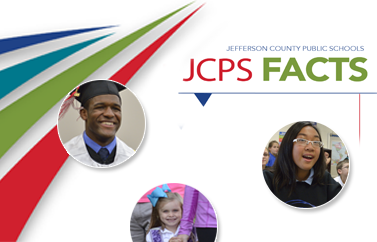 The Advance Program is available at most JCPS schools. Some schools group students in the program together throughout the school day. Others use a cluster-grouping model, in which classrooms include students with a range of abilities but teachers often let the students work in small groups based on similar ability levels. At some schools, Advance Program students work with others in the program only when they work on particular subjects. Twice a year, all Advance Program students receive a Gifted Student Services Plan, which includes information on progress toward meeting a range of academic goals. If you think your child works above grade level and has advanced critical-thinking skills, talk to a school counselor about Advance Program testing, which is available in October. Testing is first offered in third grade, and the program is available to students in the fourth grade and above. Click here to email questions to the Advance Program Office. Click here for state regulations on programs for gifted and talented students. Click here for private/parochial testing for non JCPS students (3rd-10th) interested in placement in a JCPS Advance Program.